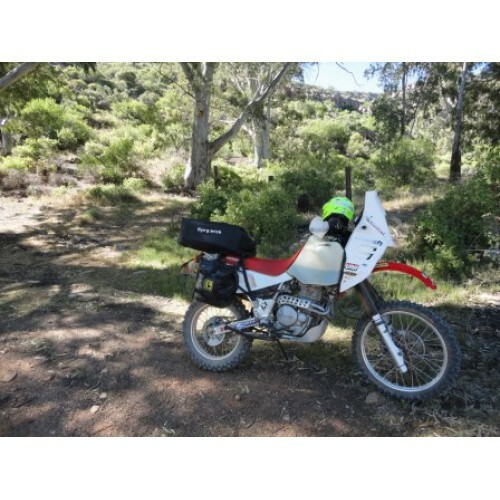 Bolts on with no hassle ( no holes need to be drilled ) and lets the bike rest lightly on the front wheel making puncture repairs in the bush a breeze. 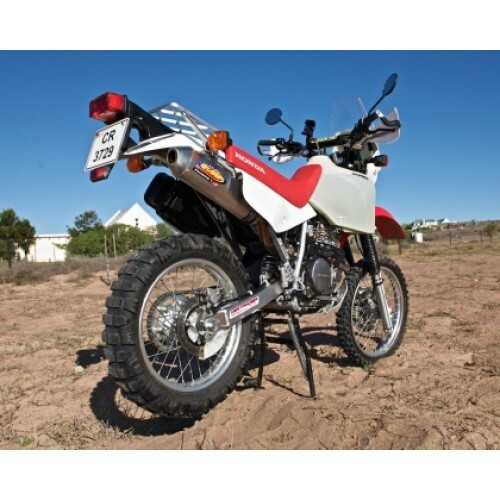 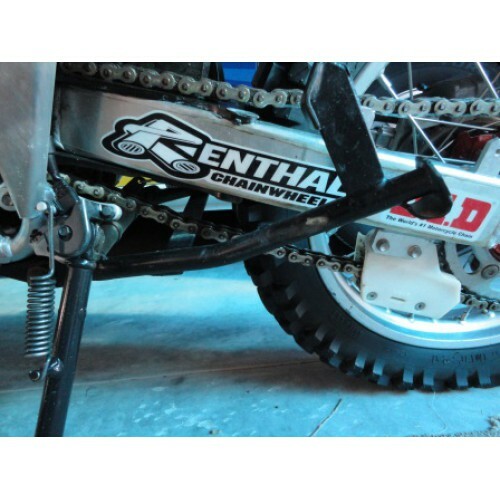 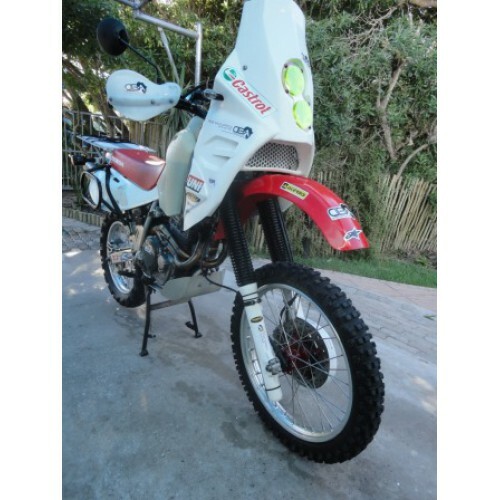 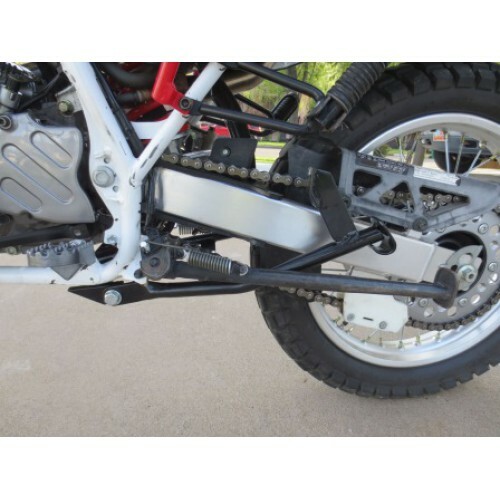 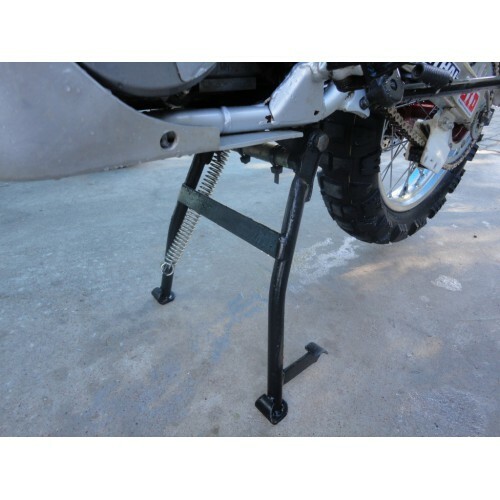 This product is a must as this avoids you having to lay your bike on the side to repair the tyres and having your precious fuel leaking out onto the dirt. 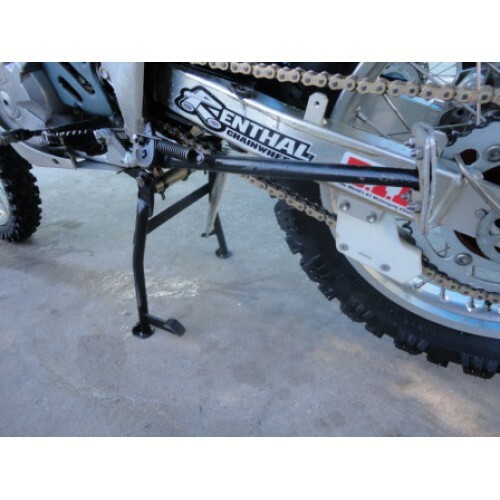 It is also very difficult to get the wheel bolt in and out with the bike lying like this. When you are miles from the next fuel stop you will be grateful for this luxury.